I’ve been busy making tiny silver owl and bird ornaments. Following on from the success of the tiny micro hedgehogs, I thought I would branch out…. Each owl and bird is individually hand sculpted in silver clay with inset gemstone eyes. They fire to solid silver. I love the fact that each one is completely unique and no two will ever be quite the same – making them a very personal gift. Each has its own unique personality and I can use a wide range of different gems for the eyes. They are so tiny that I have to make them under a magnifying lens, using a set of tiny sculpting tools. It requires a lot of patience and sadly many birds don’t make it to the final stage…. Here’s the first one I made, fired to silver. Sorry, he’s sold already but please get in touch if you’d like to get your hands on a micro owl or micro bird. Tiny owl fired to solid silver. Sorry, he’s sold already. 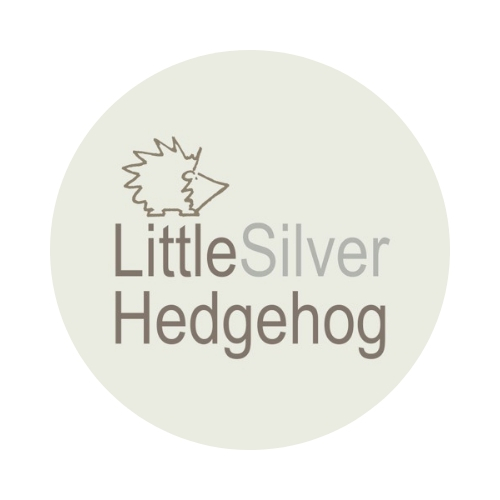 This series follows on from my best selling hand sculpted silver hedgehogs. I am still making the hedgehogs to order. All my handmade silver jewellery is inspired by nature and wildlife. I’ve been lucky enough to have a close encounter with an owl that fell down my chimney and had to be rescued many moons ago. The tiny bird is inspired by my many garden visitors. The tawny owl that fell down my chimney is the inspiration for the new owl design. I often hear tawny owls calling in the garden late at night. I wonder if it’s my little rescued owl friend. Such a talent LSH! Lovely! PS – I have hedgehog evidence. Little poos dotted around the garden, and a visitor to a safe feeding station – that could be a hedgehog. Need to get that night vision spyware! Thank you so much and great news about the garden gifts! Those are sooo cute, really beautiful.